Some cats refuse to drink water if its been in their bowl for over a day. This fresh fountain is perfect for those fussy drinkers. It silently and continuously filters free-flowing water to keep it tasting fresh and odour-free. This helps encourage your pet to drink more water which helps reduce the risk of urinary disease. 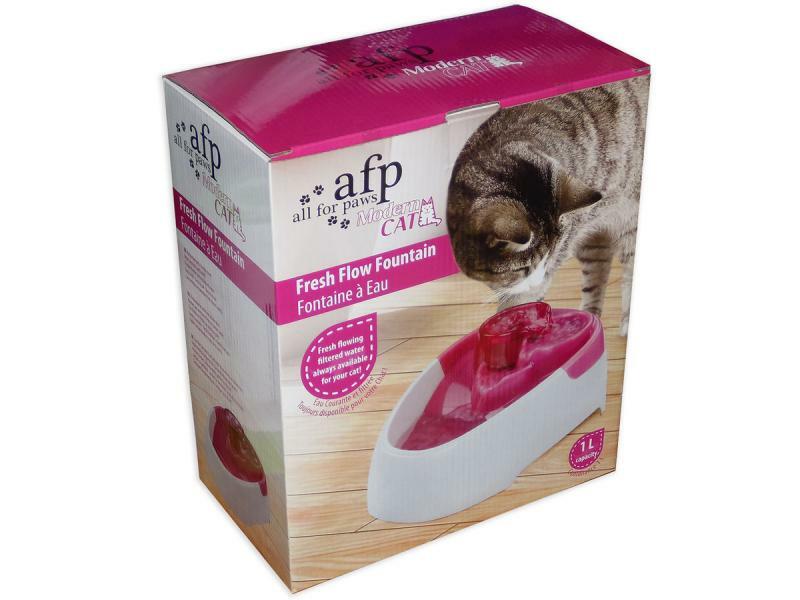 Below are some recent questions we've received regarding All For Paws Modern Cat Fresh Flow Fountain, including answers from our team. As far as we know it is mains operated.